NIA CHARLESTOWN NEVIS (March 08, 2016) — The following is the full text of an address delivered by Hon. 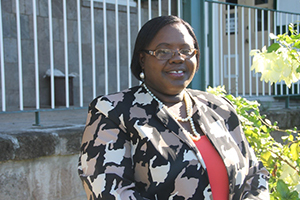 Hazel Brandy-Williams Minister responsible for Gender Affairs in the Nevis Island Administration, on the occasion of International Women’s Day 2016. I deem it a signal honour to address you on the occasion of International Women’s Day 2016, today Tuesday, 8th March, in my capacity as the Minister responsible for Gender. International Women’s Day is a time that is specially set aside for us to reflect on, and highlight the significant contributions and accomplishments of women in the societies in which they live and the world at large. The theme for this year’s observance is “A Pledge for Parity: Improving Economic Opportunities for All”. This theme explicitly focuses on equal access and fairness for men as well as women, in sharing the nation’s economic resources and in sharing the benefits of economic growth and development. Today women are still fighting against inequality and are committing themselves to eventually achieve parity. While enormous progress has been made towards the goal of eliminating inequality and achieving parity, there is still considerable work to be done. With the Millennium Development Goals (MDGs) adopted by the United Nations (UN) in 2000 and culminated in 2015, the UN has now put in place the Sustainable Development Goals (SDGs) as a continuation of the work done on the MDG’s. – To ensure inclusive and equitable quality education and provide lifelong learning opportunities for all. – To achieve gender equality and empower women and girls. – To promote sustained, inclusive and sustainable economic growth, full and productive employment and decent work for all and to reduce inequality within and among countries. It is necessary therefore, to devise plans and programs and to take positive steps to implement towards attainment. These goals must just not be part of a theoretical framework but bold action must be taken to ensure practical outcomes. Both education and healthcare play a significant role in the productivity of our human resources, and in economic growth and development. Education and training and health and wellness for all are critical since if these are not pursued, they can aggravate the problem of inequality. The concept of equal employment opportunity is integral to equal economic opportunity for all, including women. It is critical for women to achieve parity and to advance economically. Men as well as women should have equal treatment in all employment-related actions. But women are still being discriminated against on the basis of their gender. Women are still being denied equal employment opportunities in terms of the types of jobs, pay and position. In the afternoon, at the same venue, there will be the launch of the Non-traditional Occupations for Women (NOW) Initiative. Women contribute tremendously to the economy and could have been contributing even more had it not been for gender inequality, to which they are constrained. To address the question of parity for women will need all aboard – political directorates, progressive thinkers and policy makers, civil society leaders and others – to tackle the challenges of gender inequality and to identify strategies for securing a sustainable future for women. Women can transform lives especially if we are in leadership positions but we can still give input from whatever position we find ourselves. We must band ourselves together as some of you have done in forming women’s groups with one of the major objectives, being, to push the women’s agenda for change that would result in gender equality. Interestingly, gender equality will also do the man good. Secretary General of the United Nations says that “equality for women is progress for all”. Countries with more gender equality have better economic growth. Companies with more women leaders perform better. Peace agreements that include women are more durable. Parliaments with more women enact more legislation on key social issues such as health, education, anti-discrimination and child support. The evidence is clear: equality for women means progress for all. The call is clear, women must support each other in our quest for equal rights, for human rights, for progress. All hands are needed on deck. The task has begun and we must continue to fight the good fight. Happy International Women’s Day to all. Thank you.